We have several scholarship funds which help deserving NDCR students and their families with tuition costs. We encourage you to donate to any of the funds below. For further information on setting up a scholarship fund or contributing to these established funds, please contact the Mission Advancement office at (978) 689-8222 EXT 24. Dr. Fred Arrigg was born in Lawrence in 1922, the son of Lebanese immigrant parents. He became a well-respected local doctor and led a remarkable life, characterized by decades of dedicated service to patients, generous commitment to the Lawrence community and deep respect for learning and education. Dr. Arrigg and his wife, Emily, established this endowment for the academic benefit of a deserving student at Notre Dame Cristo Rey. This scholarship was established by Senator Patricia McGovern in honor of her grandmother, Catherine Ahearn Callahan. Catherine was a woman of strength and perseverance, who immigrated to the United States from Ireland and lived in the “Immigrant City” of Lawrence. Senator McGovern still has strong ties to Lawrence, and she and many members of her family attended St. Mary Elementary and High School. 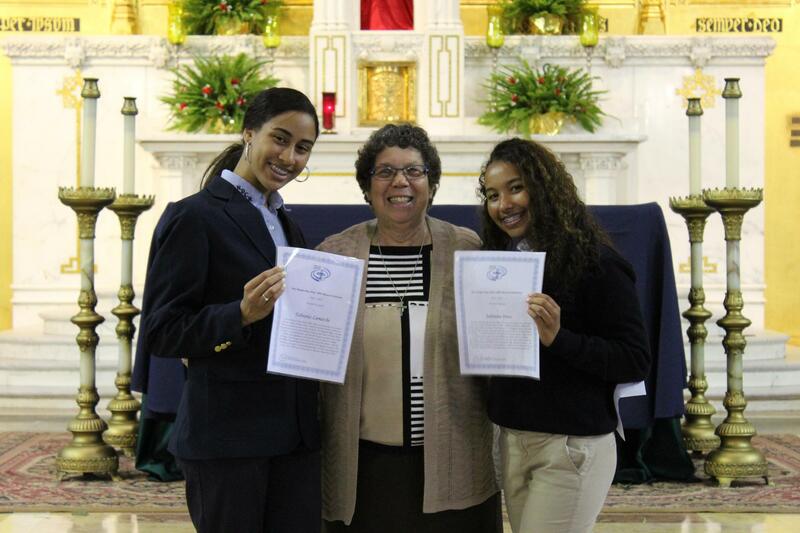 This scholarship is awarded to students who are committed to succeeding at Notre Dame Cristo Rey. 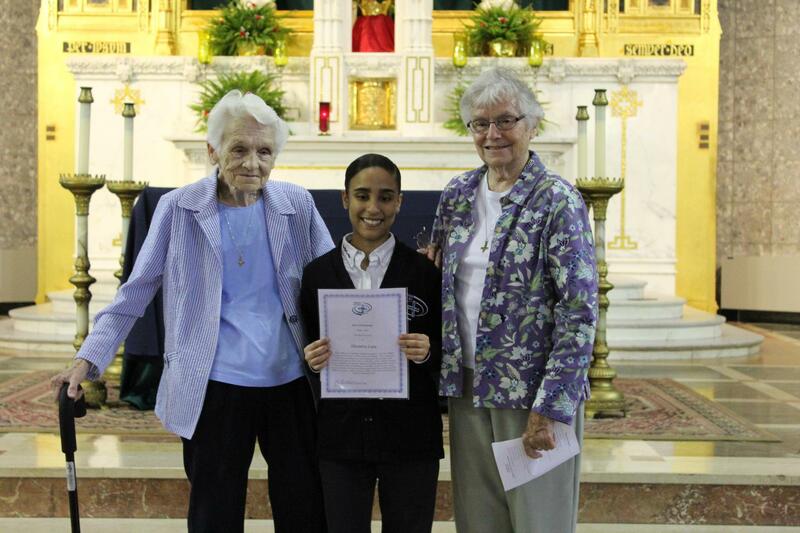 This scholarship was established in memory of Frances who graduated from St. Mary High School in 1949. 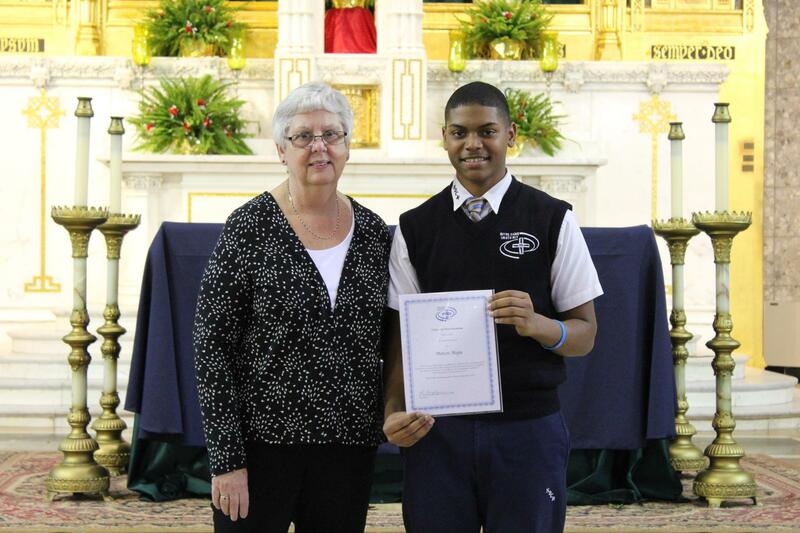 It also honors John G. who graduated from St. Mary Elementary School. John and his wife, Frances, as well as seven of their children, were educated by the Sisters of Notre Dame de Namur in Lawrence. 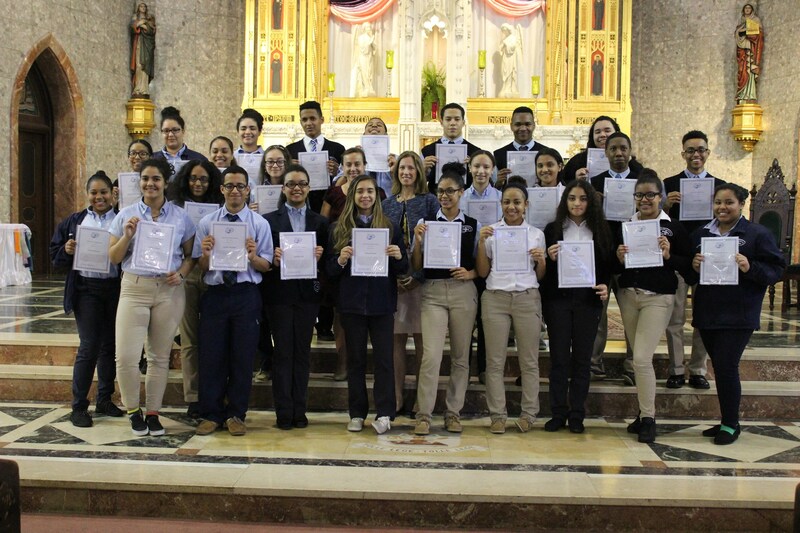 This scholarship is established with the hope that the recipients will give serious attention to their academic achievement and participate in the community life of Notre Dame Cristo Rey. For the 2017 academic year and all subsequent years, the recipient must earn a 2.5 GPA for their Sophomore, Junior and Senior year. 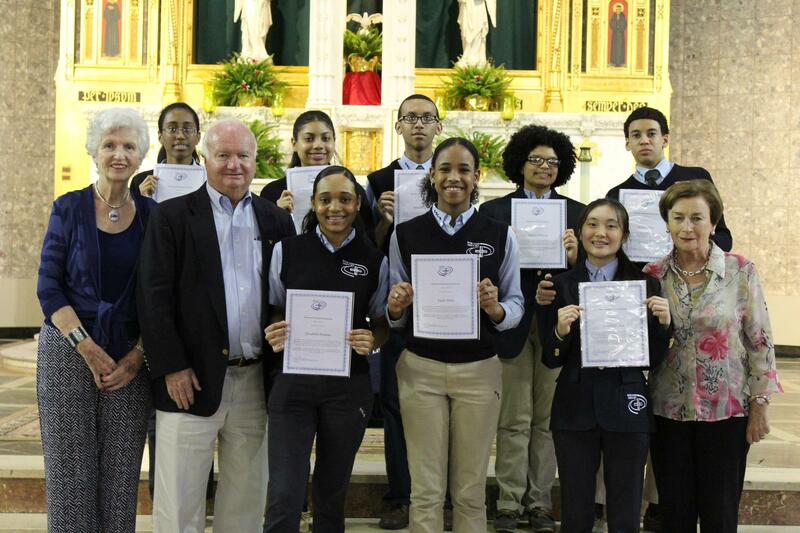 This scholarship honors Father James Field, the former pastor of Incarnation Parish in Melrose, for his commitment to the Notre Dame Cristo Rey mission and his leadership in encouraging his parishioners to share their time and talent with the Notre Dame Cristo Rey community. Scholarships are given each year to students who exemplify the qualities of academic achievement, leadership and courage. Françoise Blin de Bourdon, a wealthy French noblewoman and a close friend of St. Julie Billiart, co-founded the Sisters of Notre Dame de Namur in 1804. Julie Billiart lived during the time of the French Revolution. Julie, paralyzed and bedridden, was given refuge in the home of Françoise’s brother in Amiens. Fascinated by Julie’s wisdom and closeness to God, Françoise felt called to listen to Julie’s reflections about the “Good God”. The friendship between the two women developed, and Françoise found herself confiding in Julie about her own relationship with God. Françoise admired Julie’s commitment to providing a strong Catholic education to those whom society considered unworthy. Françoise used her family’s wealth to ensure that poor girls received the education that would help them, and their families, move out of poverty. This scholarship was established by the late James Gordon in honor of his wife, Rita Fitzgibbons Gordon, a 1955 graduate of St. Mary High School, and a dedicated Registered Nurse. Rita was a scholarship recipient and was always appreciative of the opportunity afforded to her in her pursuit of a nursing career. In fulfillment of Rita’s wish, this endowed fund provides a scholarship to assist deserving students in their own pursuit of a profession in the health care field. This scholarship was established in 2017 by the Hackett family and is awarded for 4 years to a female student who has demonstrated a commitment to succeed at NDCR. 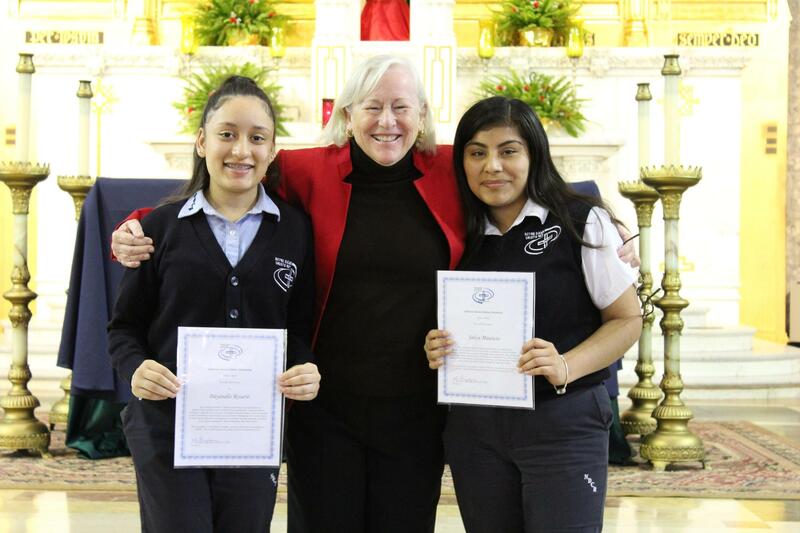 This scholarship was established in honor of St. Julie Billiart, foundress of the Sisters of Notre Dame de Namur. 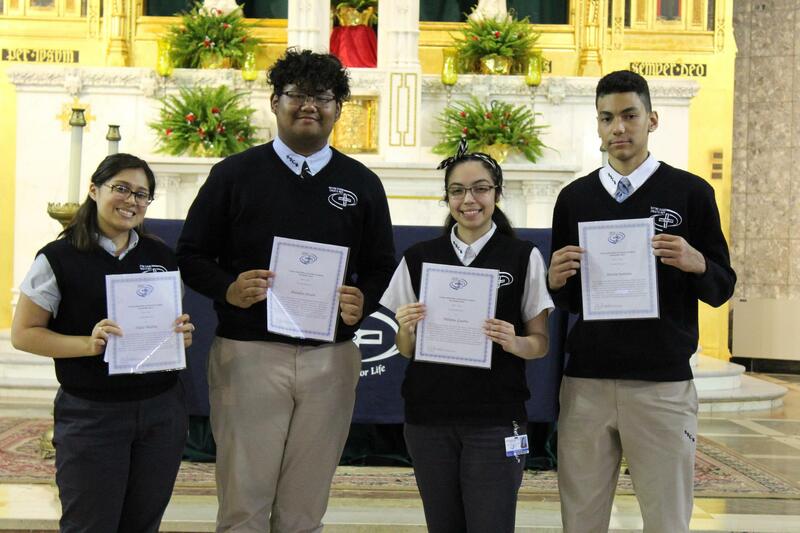 This scholarship begins in the freshman year and continues for the duration of the student’s four years at Notre Dame Cristo Rey. Julie’s ministry focused on the education of youth who otherwise had little opportunity to learn. The desire of this scholarship is to provide a means for one young person to receive the best educational opportunity that could ensure the ability to go on to a college of his/her choice. This scholarship was established anonymously by an alumna of the Class of 1956 of Saint Mary High School. The scholarship memorializes Sister Mary Anne Laughlin, a Sister of Notre Dame de Namur who dedicated her life to education and believed in the basic goodness of all people. This scholarship is presented to a rising senior who exhibits hard work and determination in academics. 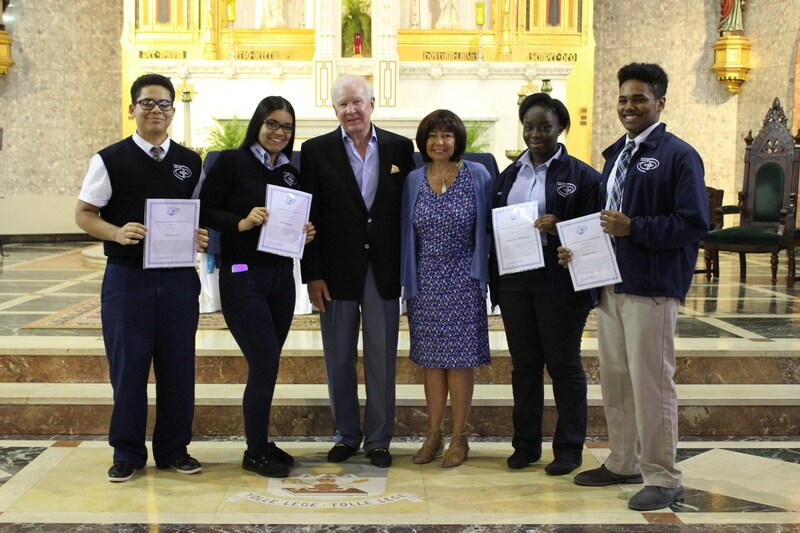 This scholarship was established in 2015 by Steven and Elizabeth Lindsay, long-time dedicated benefactors of Notre Dame Cristo Rey. Being a graduate of the former St. Mary High School, Elizabeth never forgot her Lawrence roots and the exceptional education provided by the Sisters of Notre Dame de Namur. 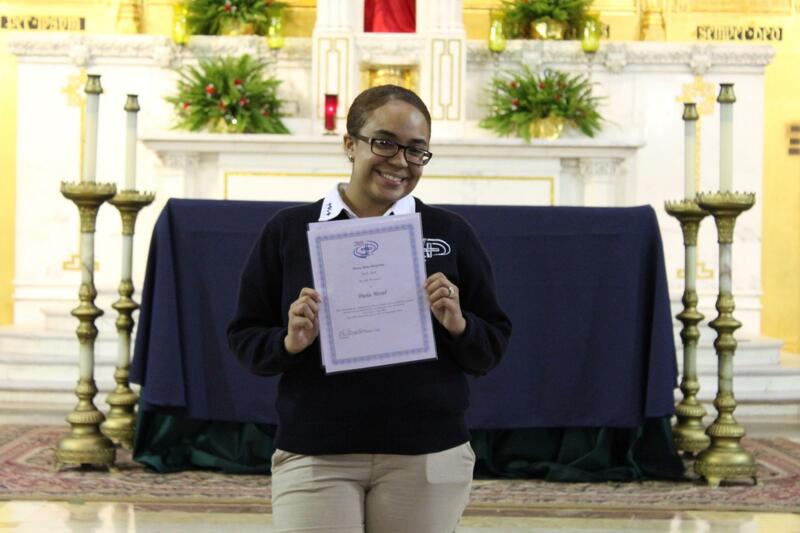 Majoring in the business field, Elizabeth, from her first visit to Notre Dame Cristo Rey, was considerably influenced by the Corporate Work Study Program and its impact on the college prep education provided to Notre Dame Cristo Rey students. This scholarship was established in 2017 by Steven and Elizabeth Lindsay in honor of Elizabeth Lindsay’s parents, Fred and Mary Fichera. 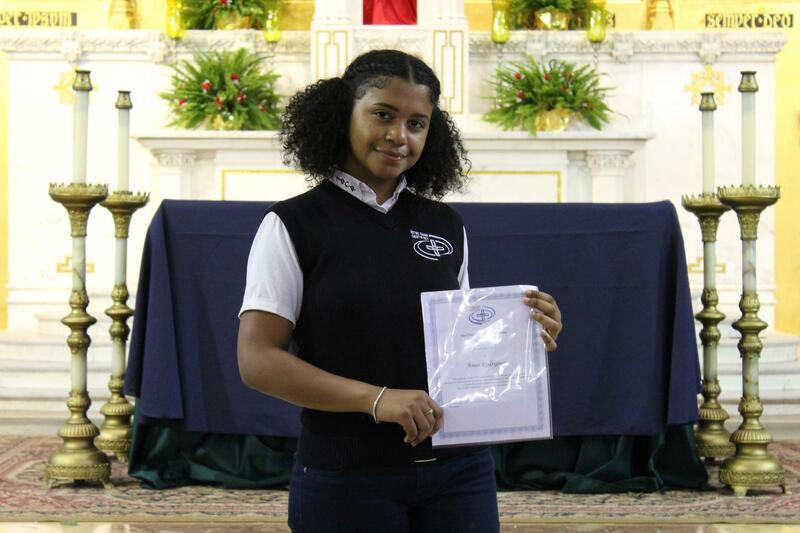 The scholarship is awarded to a student who exemplifies the spirit of Notre Dame Cristo Rey and demonstrates the qualities of academic achievement, leadership and courage. 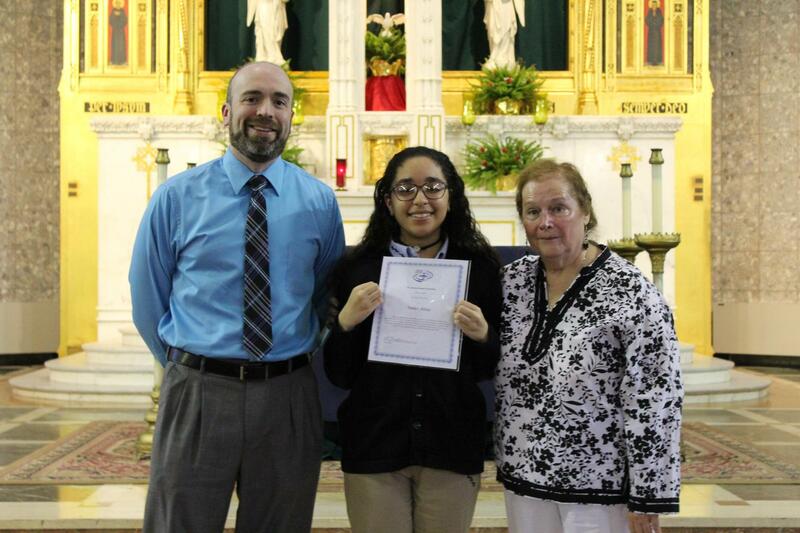 This two-year scholarship was established in 2018 by Clare Lorenzatti and is presented to a student who values education and community and who exemplifies the spirit of Notre Dame Cristo Rey by demonstrating the qualities of leadership, hard work and perseverance. This scholarship was established in memory of the father of a former Dean of Students, Robert McCarty. 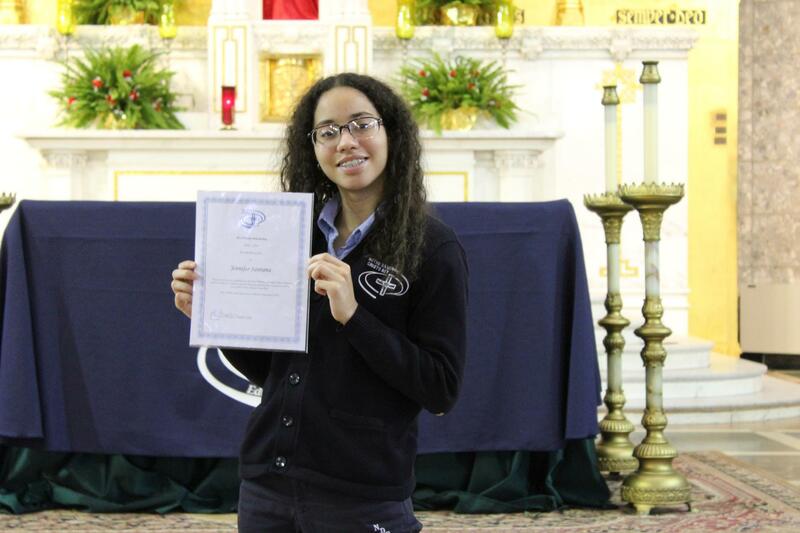 The award is presented to a deserving rising senior who exhibits qualities of leadership, hard work and perseverance at Notre Dame Cristo Rey. This scholarship award was established by Cynthia Mohr, a native of Lawrence who is very involved in the activities of local community organizations. 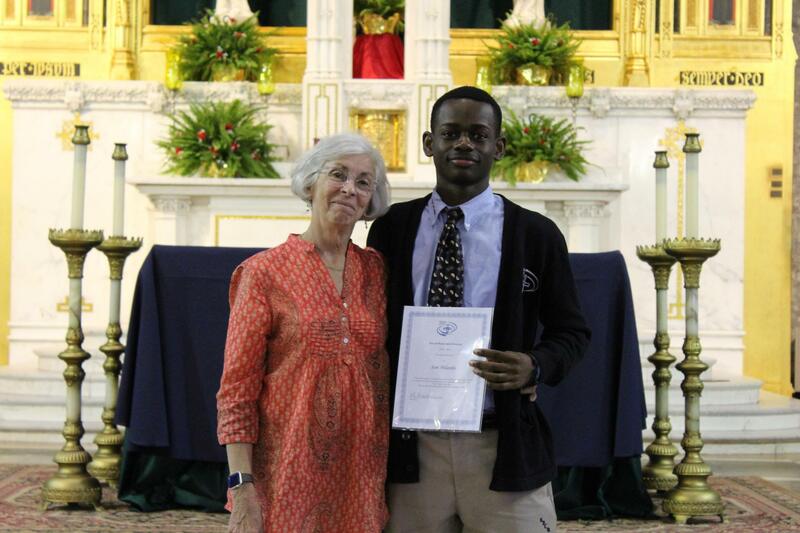 Ms. Mohr is deeply committed to the people of Lawrence and to the educational values of Notre Dame Cristo Rey. This scholarship is presented to a student who values education and community, a student who is determined to be successful and give back to the Lawrence community in the future. 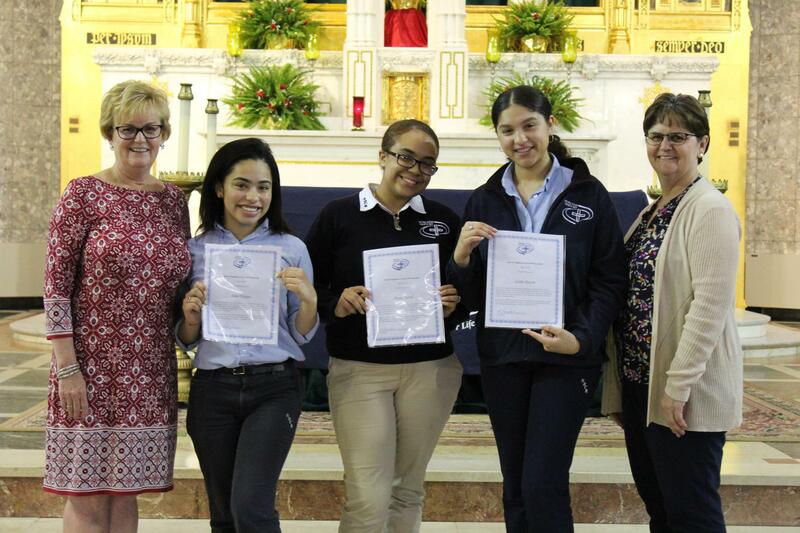 This scholarship was established by a group of Saint Mary High School alumnae who are members of the Class of 1966. 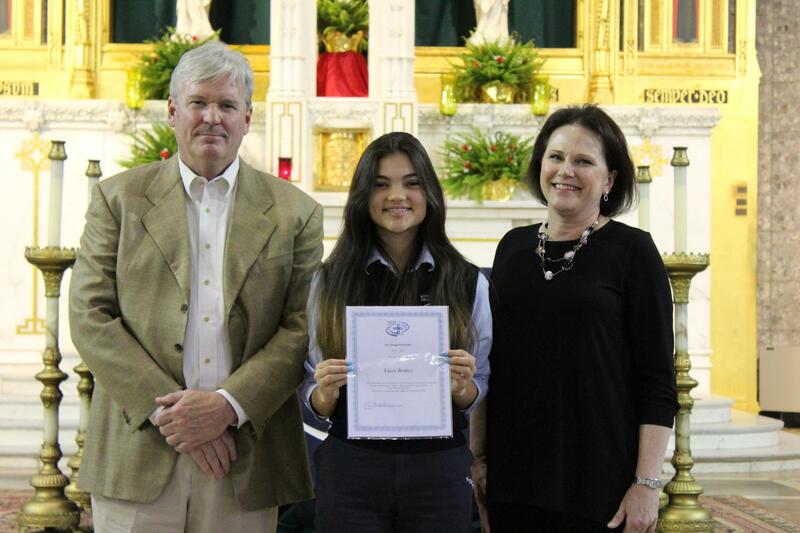 The award is presented to a female student who shows pride in Notre Dame Cristo Rey and in the traditions of the Sisters of Notre Dame de Namur. 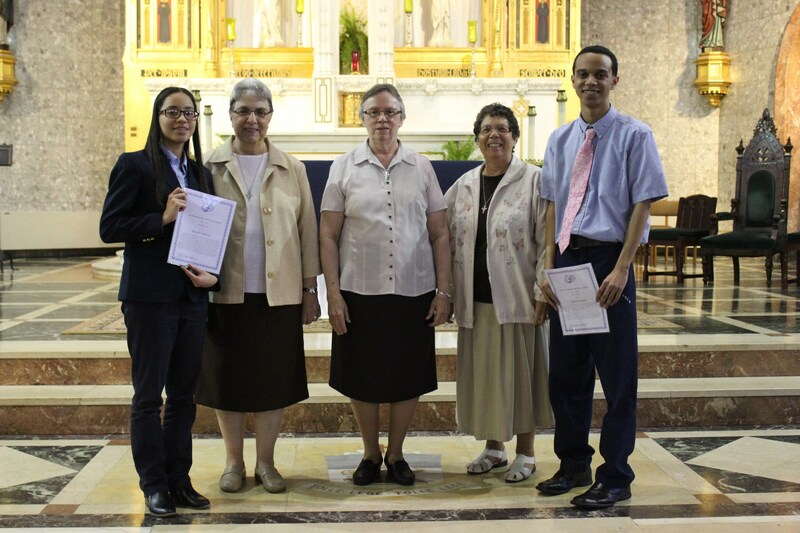 This scholarship was established in memory of Sister Margaret Mary, a beloved faculty member, dedicated teacher and a gifted mentor to her students. Sr. Margaret Mary, through her generosity of spirit, embodied the mission and vision of Notre Dame Cristo Rey. A trained librarian, she had the vision to create a state of the art library that supported each student’s goal to achieve a college education. 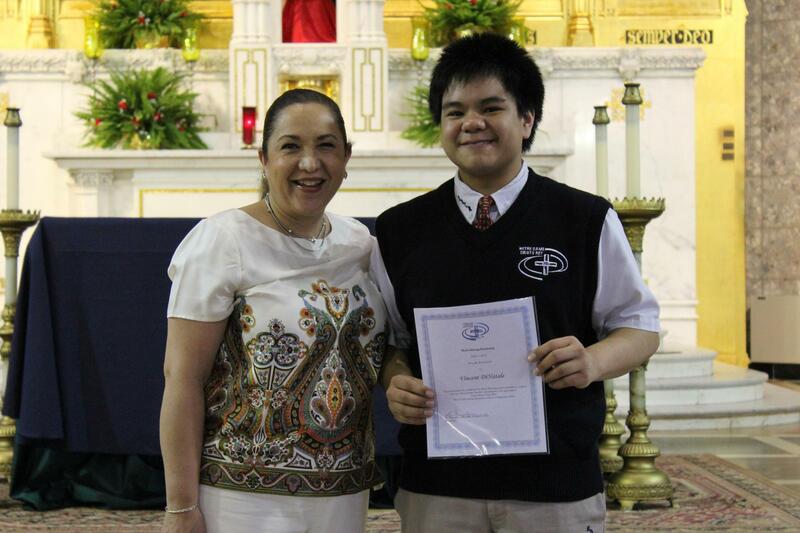 She took great pride in her role as faculty adviser of the St. Julie Billiart National Honor Society and also the Student Council. 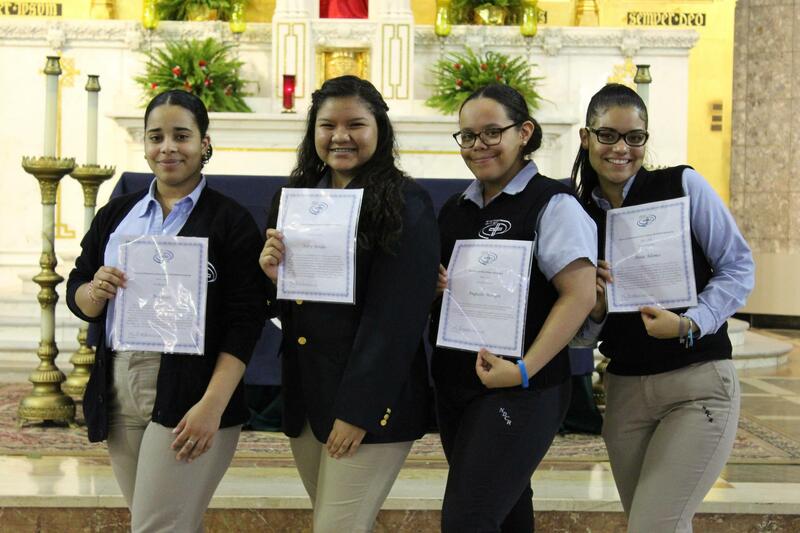 The purpose of the UNICO Foundation is to create scholarships for educational and religious purposes. This scholarship is awarded to a Senior who exemplifies good scholarship and citizenship. 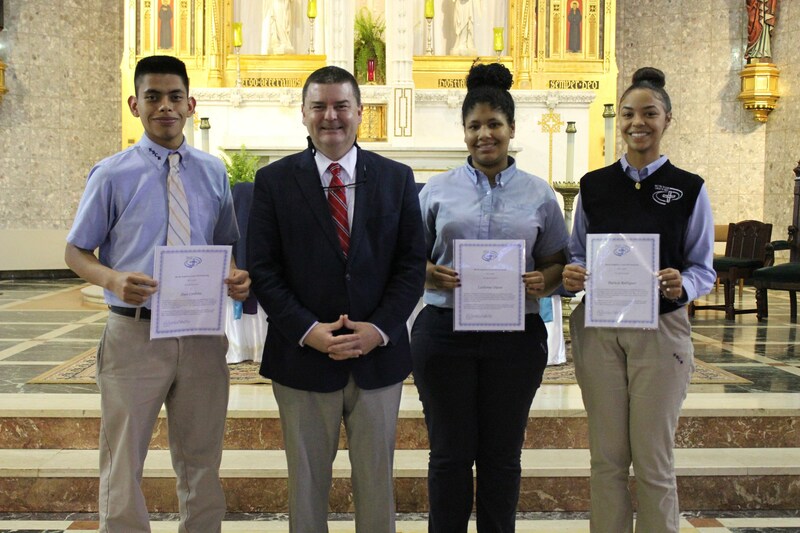 The Catholic Schools Foundation Scholars Program provides scholarships to a select group of students in the Archdiocese of Boston’s Catholic high schools. Students are selected based upon their potential as scholars, active members of their new school community, and their families’ demonstrated financial need. Students who are selected also demonstrate a high potential to contribute positively to the school community through academics and/or leadership opportunities and have a goal for post-secondary education. Thank you to all scholarship donors for continuously supporting our students!